Real-time personalized marketing focused on customers’ behaviors, interests, and real-time needs, results in a 15-20% increase in total sales. Maybe you’ve already begun implementing personalization to improve customer experiences, but you might not be maximizing its potential. 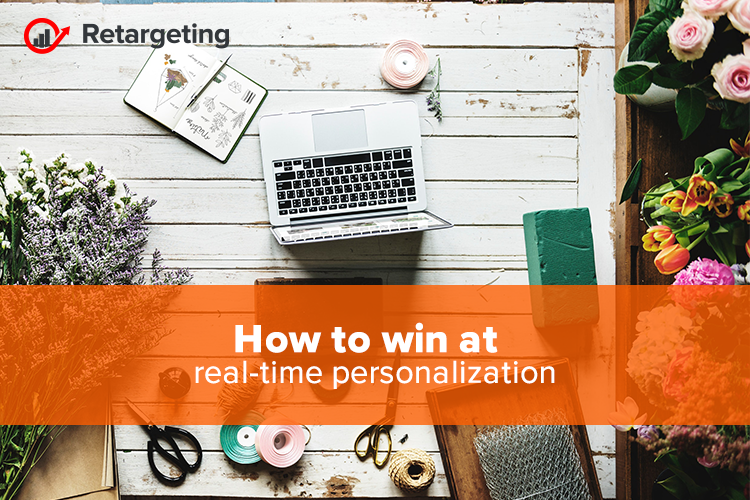 Let’s take a look at a couple of best practices to win customers over with real-time personalization. Many companies have adopted some aspects of real-time personalization. Perhaps you’re providing real-time recommendations based on the visitor’s history. Or maybe you’re giving visitors product recommendations personalized according to their interests. If this describes your organization, it’s a good idea to consider taking it up a notch and extending your efforts to every touch point on every channel. The goal is to ensure that your customers can seamlessly access the information they need wherever they are and on whichever channel they use. Consider upgrades in how you collect customer data and ensure that you have accurate, up-to-date information on your customer’s previous interactions with your business. Every department can leverage this information to personalize future interactions. Urgency is one of the most effective real-time persuasion techniques out there, often leading to quick sales and higher conversions. A countdown timer sparks excitement and helps email recipients track how much time they have to perform an action. This type of time-sensitive dynamic email content compels shoppers to grab offers before they run out. It can also improve customer experience because it ensures your customers don’t miss out on your best offers. Your content plays an important role in your conversions. How well you present your solutions and expertise to potential customers largely determines the conversion rate. And with the right content recommendations, you can gradually guide site visitors through the customer journey. Successful real-time personalization involves relevant content recommendations based on the visitor’s previous content consumption and site behavior. Use predictive analytics tools to automate the process of behavior tracking, then present the right content at the right time. While the above best practices help improve customer experiences and drive more sales, nothing’s more important than winning customers’ trust. Personalizing your content and recommendations may be a great method of guiding customers through the purchase journey, but it can cause customers to grow suspicious of just how much information you have on them. One study reported that consumers expect overt personalization where companies are transparent about how they acquire and use their data. When relying on real-time personalization, maintain transparency. As data-based personalization technology continues to mature, companies owe it to themselves to take advantage of new opportunities for better engagement with new and existing customers. Care can and should be taken to strike a proper balance between anticipating your customers’ interests and needs and maintaining transparency, which in turn will enhance trust and building better and more profitable relationships.